The total solution for visitors wanting a single-day taste of The Old Ghost Road. Meet your bus transport and dual-suspension hire bike in Westport before embarking to either end of the track. Choose from a climb and scintillating return descent at the Lyell end or an undulating scenic river ride in the rugged Mokihinui Gorge. Return to your awaiting transport for an afternoon journey back to Westport. Return transportation from either end of The Old Ghost Road to Westport Airport/downtown Westport. You will be greeted on arrival at Westport Airport or in Westport by your bus, pre-loaded with your dual-suspension Avanti Competitor mountain bike (sized via previous communications). You will be driven 50 mins to either end of the trail (location depending on you or your group’s consensus), stopping en route for a takeaway coffee and bite to eat. After final bike sizing and instruction is complete, you will set off on your own freedom adventure, turning at a pre-agreed time so that you arrive back at your waiting transport. 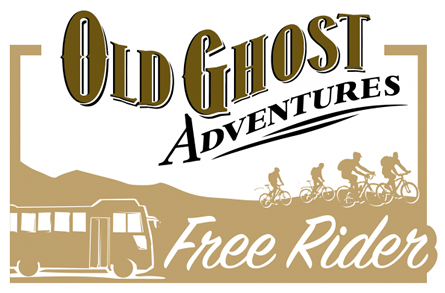 With up to 5 hours solid riding under your belt, relax and unwind as you’re transported back to Westport and start dreaming of that next bigger adventure on The Old Ghost Road.